The International Fire & Security Exhibition and Conference (IFSEC) Expo by UBM India is debuting in Dhaka with its IFSEC Bangladesh Expo. Scheduled as a preview show in its launch year, the expo is being held during 18-20 April 2019 at the ICCB, Dhaka. IFSEC Bangladesh aims to bring together internationally renowned exhibitors, consultants, business experts, and key government officials on an industry platform to exchange global best practices and seek solutions for challenges pertaining to security especially for a developing nation like Bangladesh. 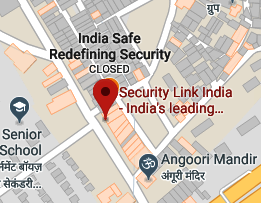 The South Asia region is both a vulnerable as well as a progressive zone when it comes to security and surveillance, which is due to its teeming population and issues like crime, terrorism and developing digital technology with the need for data protection. The safety and security industry in Bangladesh is at a nascent stage and will therefore greatly benefit from the IFSEC expo with its array of global industry updates, legislation, security demos, workshops, products and services by leading experts from the globe. In its maiden edition itself, IFSEC Bangladesh is bringing a formidable repertoire of products and technologies pertaining to biometrics, access control, alarms, entrance automation, GPS tracking, storage and building management in addition to surveillance for the knowledge of end users. It is to include global brands such as Abloy, Allied Telesis, Axis, Biomax, Brosis, ERD, Godrej, IPsys, Johnson Controls, KJ Tech, Milestone systems, Origine impex, Realtime, Securico, Securex, Synet, Timewatch, Tyco, Toshiba, Vamosys, Western Digital to name just a few. The expo will see participation of over 40 brands from countries such as India, South Korea, China, UK, Denmark, Sweden and Japan. Supported by key associations including the Electronic Security Association of India (ESAI) among others, the IFSEC Bangladesh Expo is expected to be visited by professionals such as decision makers in key defence establishments, electrical contracting/ engineering firms, architects, chief security officers, distributor of security products, senior security consultants, facility managers, head of security personnel, logistics professionals, manufacturers of security products, municipal authorities, system integrators and town planners, among others. Speaking on the announcement of the IFSEC Bangladesh Preview Show, Yogesh Mudras, Managing Director, UBM India said, “Bangladesh’s safety and security equipment and services market is primarily driven by the rapid urbanization and the ongoing globalization wherein the need for robust and updated security technologies is increasingly significant. Sensing this need, the Government of Bangladesh recently announced the launch of the ambitious Dhaka City Digital Monitoring System that will bring the entire Dhaka city under video surveillance to ensure better safety and security as well as combat crimes. Besides, its ‘Vision 2021’ targets further growth in economy, especially in pharmaceuticals, hotels, hospitals, power, agriculture, leather, large infrastructure, ICT & telecom and ship breaking. “At UBM India, propelled by the enormous success of the IFSEC India Expo, we thought this was the right time to enter the Bangladesh market and help it avail the best of global market insights, technologies, trends and business. I am certain this show will go a long way in acting as a catalyst for the sector – and for the general economy by extension,” added Mr. Mudras. In its launch edition, IFSEC Bangladesh has decided to proactively decipher relevant insights gained in the global security market by conducting a one day conference with the theme ‘Professional Security for an Insecure World’ alongside the exhibition on April 18.